The passing scores for the different levels of TOPIK test are as following. Only your overall score is taken into account to assign you a TOPIK level. Your marks in individual sections of the test do not matter and the final level and pass/fail is decided on the basis of total score. 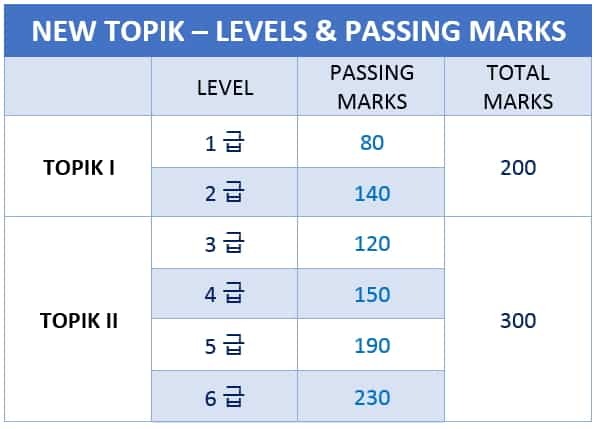 Following are the levels and corresponding passing scores for the TOPIK test. 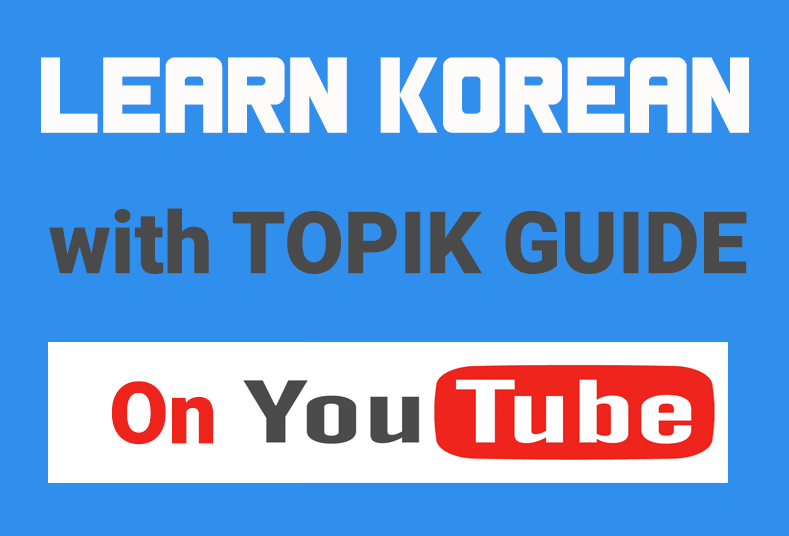 If you are taking TOPIK II for the first time, or if you want to give your score a boost so that you can pass a higher level, we would strongly advise you to get the Complete Guide to TOPIK – Self-Study Package. It is a digital study package that has everything you need to get a great score in the TOPIK test – all the past TOPIK papers with answer sheets, grammar and vocabulary study material, video tutorials explaining the test structure and much more. You can check out more details about this study package HERE. Excellent news, I agree this is a great decision. I would have passed the TOPIK much sooner than I did! hello, I got mark 119 in topic 2. would I apply for rechecking? I don’t know if they have a procedure for rechecking. You should contact them through official TOPIK site. Hello thank you so much .I prepare some students and I dont know how much time I need to do reading module.There are only 30 questions?? when will be held eps topik registration?? ?the date of lottery??? I’m confused by the Topik 1, Topik 2 structure. Do I HAVE to take Topik 1 before I take Topik 2, or can I skip Topik 1 because I’m confident that I can score high enough in Topik 2? You can sign up for whichever test you want to. I want to get only topik level3.but I want to study reading and listening for 120 score (not study writing) Is it possible?